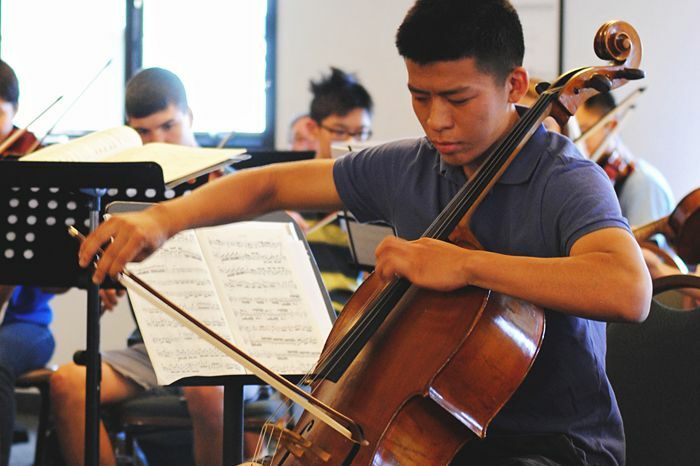 The KMF Composition Program offers intensive study for instrumentalists who demonstrate proficiency and interest in composition. KMF Composition Program participants receive all benefits provided by the Residency Program (see details) in addition to weekly Composition lessons, score read-through sessions by members of KMF’s world renowned instrumental faculty, studio classes, discussion topics, and KMF concert premieres. Applicants interested in applying for KMF Composition Program must also apply to KMF’s Residency Program (see audition requirements and application). • Submit 2-3 works (as PDF files) that best represent applicant’s current compositional skill (it is preferable, but not mandatory, that at least one score demonstrate writing capability for strings and/or piano). Corresponding audio recordings or MIDI soundtracks may be submitted but are not required.